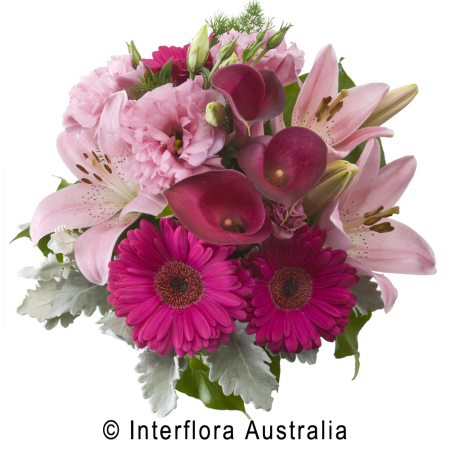 This stunning mixture of seasonal flowers in a variety of pinks and mauves is one of our most popular items. Order online and get free delivery to the Melbourne area. Buy now and save!